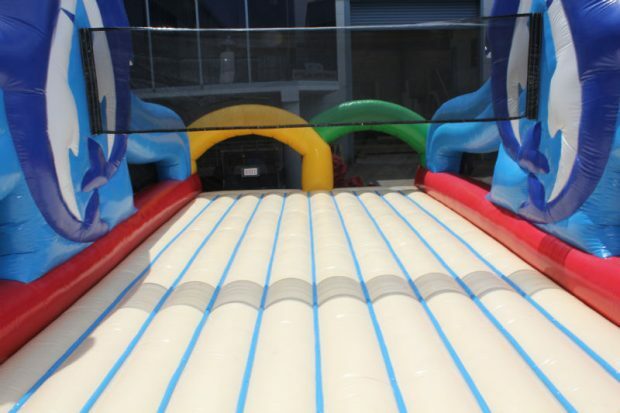 Large events, team building days, backyard parties. 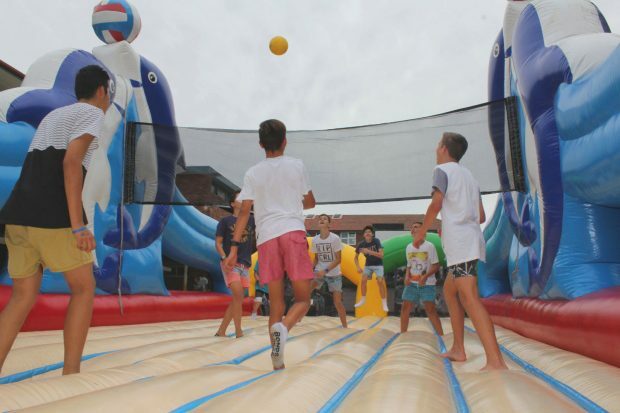 An Inflatable Beach Volleyball arena is so much fun. It is easier to play than real beach volleyball as you can jump higher, fall harder, dive further and have a bounce at the same time. 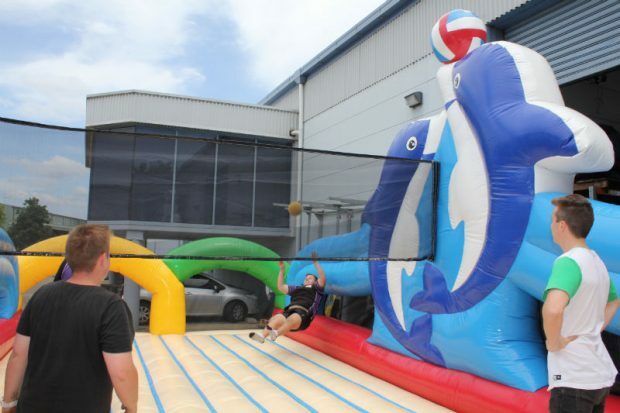 Measuring in at 12m in length and 6m in width, this beach volleyball arena is available for you to hire for your next event. 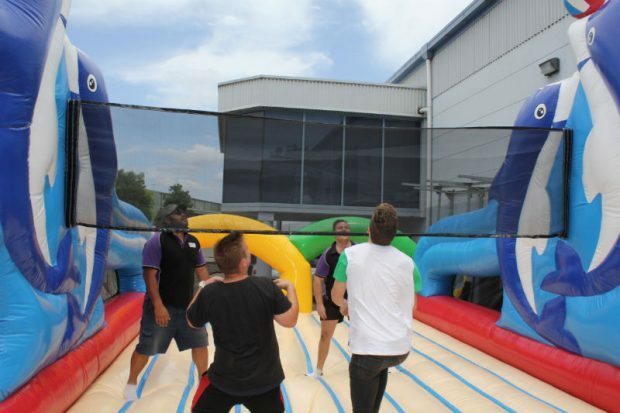 It is definitely a brilliant option for team building. 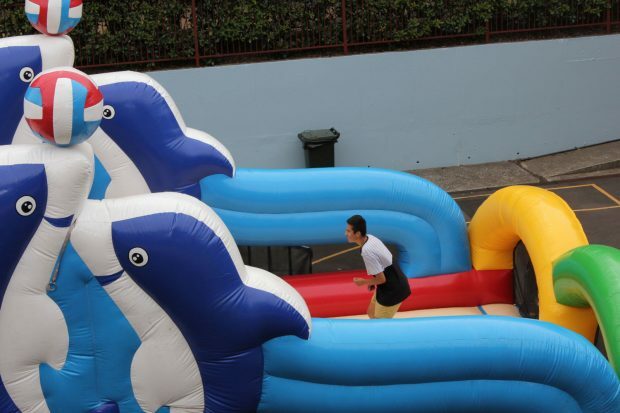 Everyone will want to have a turn on this inflatable. The side netting is transparent, which allows spectators to view the action while keeping the ball inside. 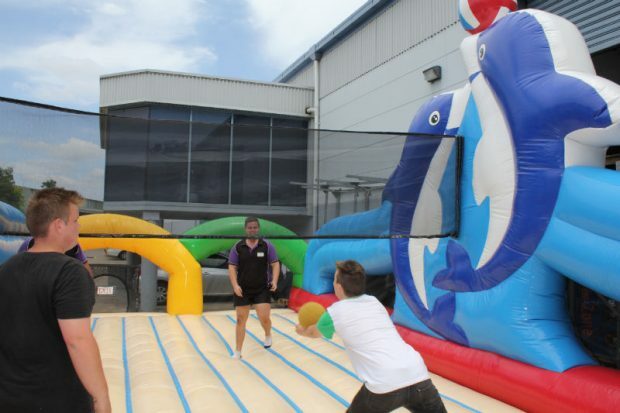 A beach volleyball arena is the focal point of any sports presentation, school fun day, team building day or corporate event. 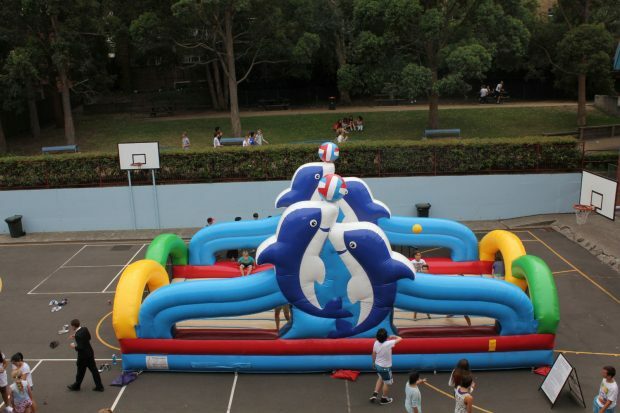 We have hired this incredible inflatable out to countless companies in Sydney for team building events, and to an array of sports clubs for their club presentation days. 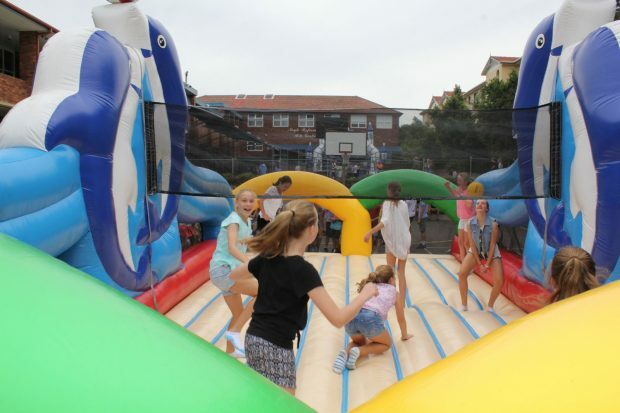 It truly is an activity for all ages and sizes. 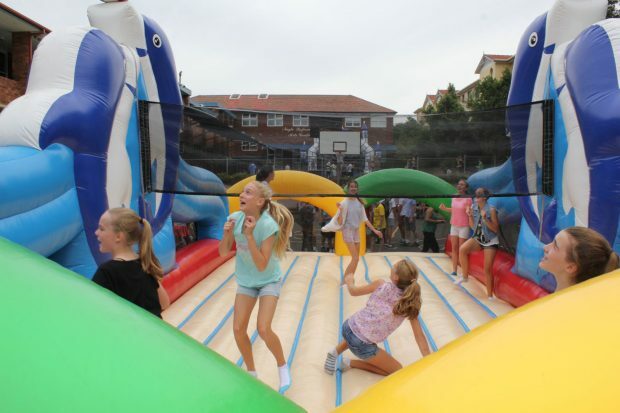 The 10 player capacity activity can turnover up to 60 patrons per hour. 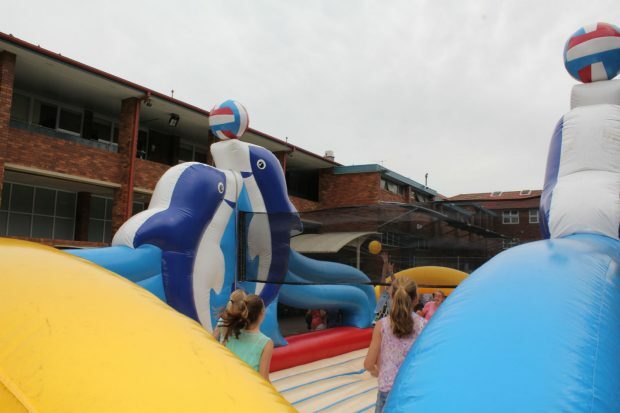 It is great for anything from a small event to a large school fun day with loads of kids. The most important thing is to assign teams and game times before your event starts. 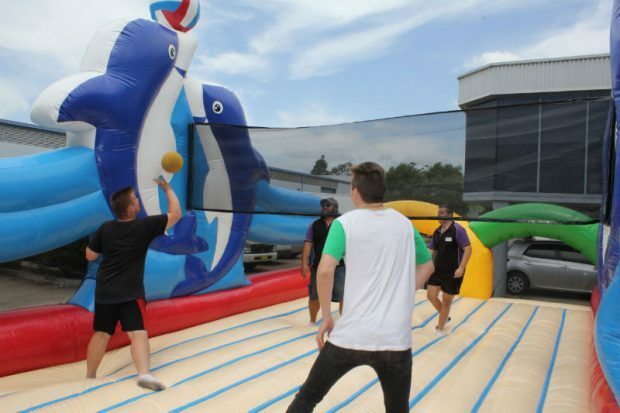 This ensures that games can operate with full teams and everyone gets to play a fun game of inflatable beach volleyball. 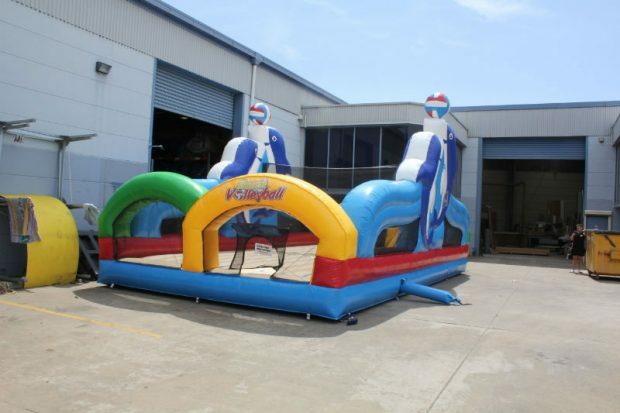 If you miss this part, the arena will be half empty and it will turn into more of a jumping castle area. So you want to get patrons to commit to a team, kick off time and game plan. This helps players in your event develop new relationships and create better teamwork and more fun. 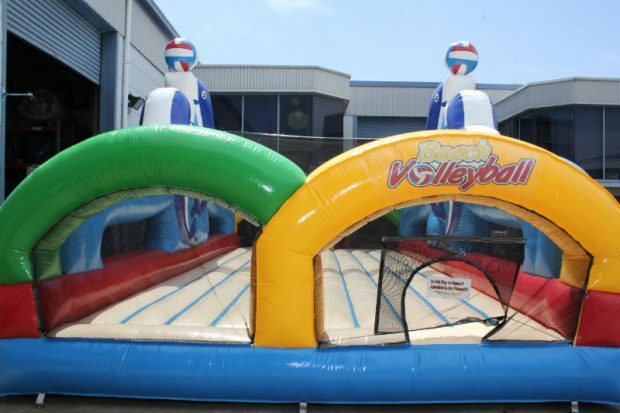 Your guests will absolutely love the beach volleyball game. 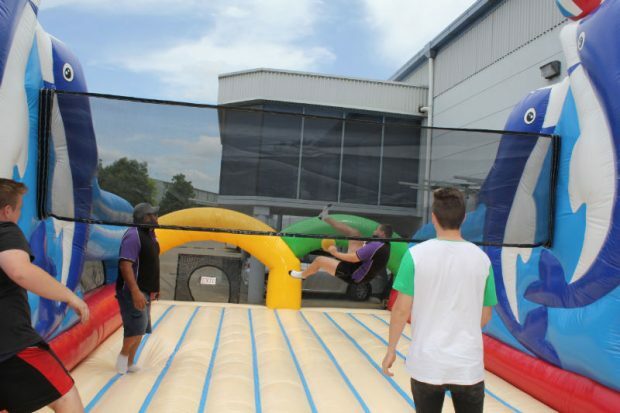 All adults must sign a disclaimer before participating and will receive a ‘Ride at your own risk’ wristband, for insurance purposes. 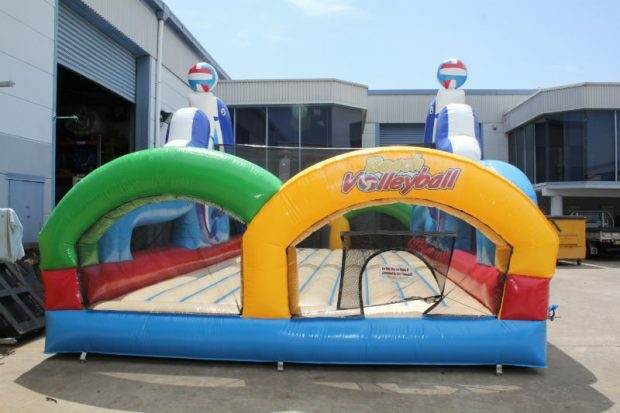 An Inflatable Beach Volleyball Arena is an amazing way to develop team building through group participation. 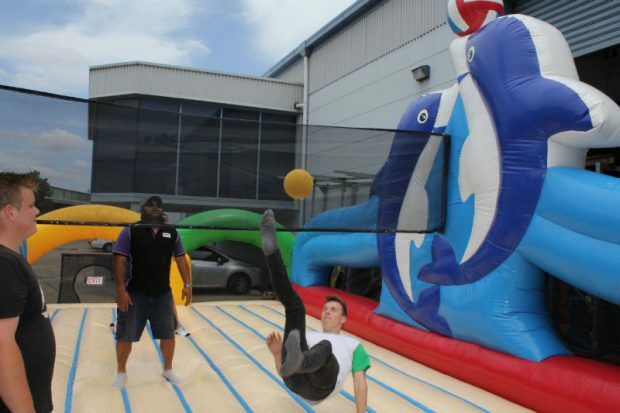 All shapes and sizes can play, which means anyone at your event can feel more relaxed around their colleagues. Thus, bringing a more confident and resilient attitude to projects at work after such a fun, shared experience. 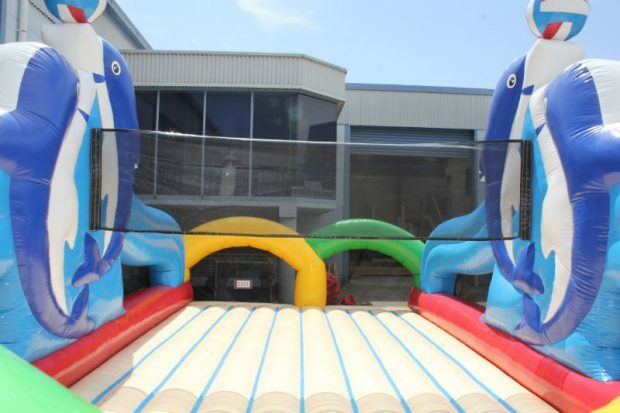 Finally, whichever activity you choose to hire, endless fun awaits. 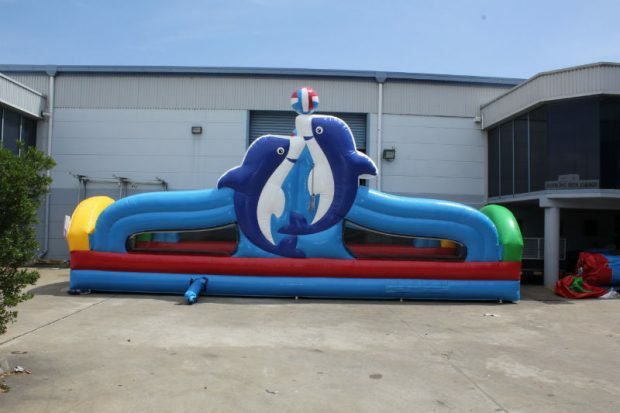 Our inflatables always take centre stage at events. 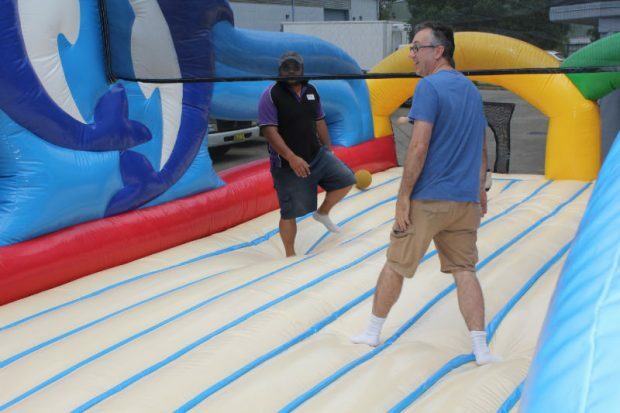 Also, be sure to see our other team building options and see if you can free up some funding to create an inflatable playland for your colleagues. 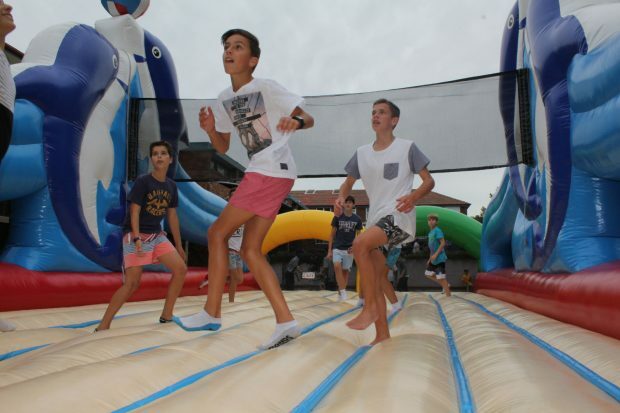 90cm wide with no steps to the set up area.